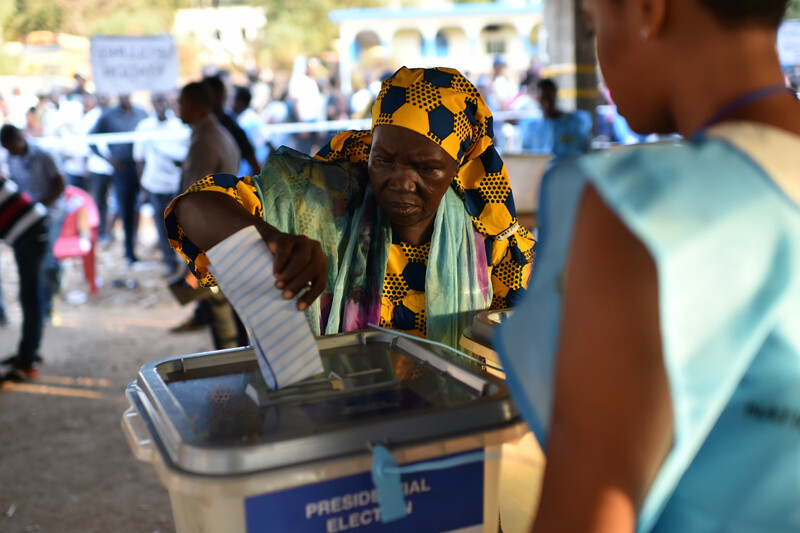 A women cast her ballot as part of the general elections, on March 7th, 2018, at a polling station in Freetown. To be fair, these items, based on Agora’s own press release, generally noted several paragraphs below their headlines about a “blockchain-based election” that Agora was not verifying the official nationwide count—it had simply been registered as an observer in one district. Agora has put out its own follow-up statement clarifying its role in the campaign and blaming a competing organization for critical local media reports about its role. As the Register notes, this is an example of how “enthusiasm for crypto-anything can get around the world before proper analysis gets out of bed.” It’s also the latest example of how quick we can be to assume that Western-developed technologies can be easy solutions for development and governance challenges of poor countries. It’s telling that, even as new revelations about the vulnerability of voting systems to hackers and harvesting of citizens’ data by campaigns have raised skepticism about the role of technology in our own elections, we still assume that more tech would be an unambiguous good in elections where democratic institutions are newer and often much weaker. The lead-up to Sierra Leone’s election was marred by incidents of violence at rallies and attacks on opposition parties that blockchain would hardly address. Opposition candidate and former military coup leader Julia Maada Bio narrowly won the first round of the election and will face the ruling party’s candidate Samura Kamara in a runoff on March 27th.